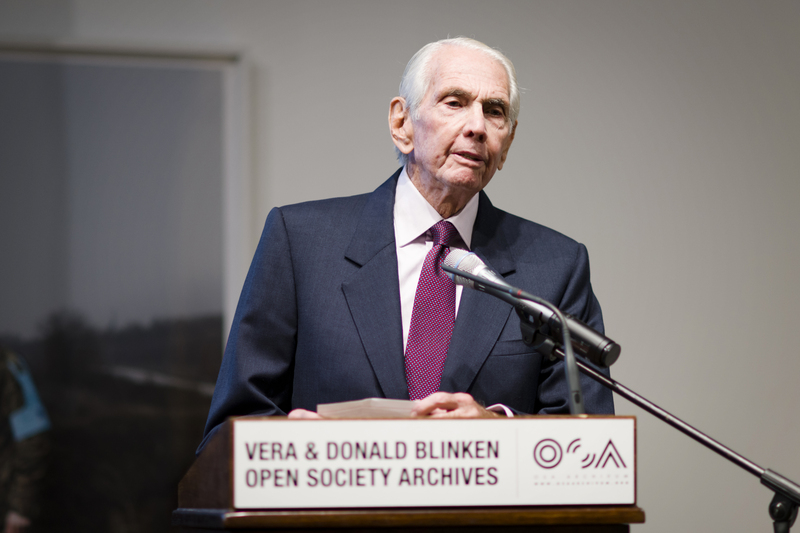 CEU's Open Society Archives (OSA) was renamed the Vera and Donald Blinken Open Society Archives at a Nov. 3 dedication event in honor of the couple, who have provided a major bequest to sustain the institution. Their gift will create a permanent endowed fund, which will allow the Archives to expand its critical work in preserving one of the world's most valuable archival collections related to the Cold War, human rights movements and grave international human rights violations. This the Blinkens’ second major donation to the archive in a decade, underscoring their commitment to Hungary and to the institution and its mission to secure a record of our collective history, truthfully capturing some of humanity’s brightest and bleakest periods. The latter is most recently manifesting in the tragedy of the ongoing refugee crisis brought on by continuing conflict in Syria and other countries in conflict and was the topic of a keynote speech at the OSA dedication by Bernard Kouchner, founder of Doctors Without Borders (Medecins Sans Frontieres/MSF) and former French minister of foreign and European affairs. Both Vera and Donald Blinken are deeply connected to Hungary. Mrs. Blinken left Hungary as a child and chronicles her escape and subsequent return in the couple's 2009 book Vera and the Ambassador: Escape and Return. Ambassador Blinken served as U.S. ambassador to Hungary from 1994-1998. 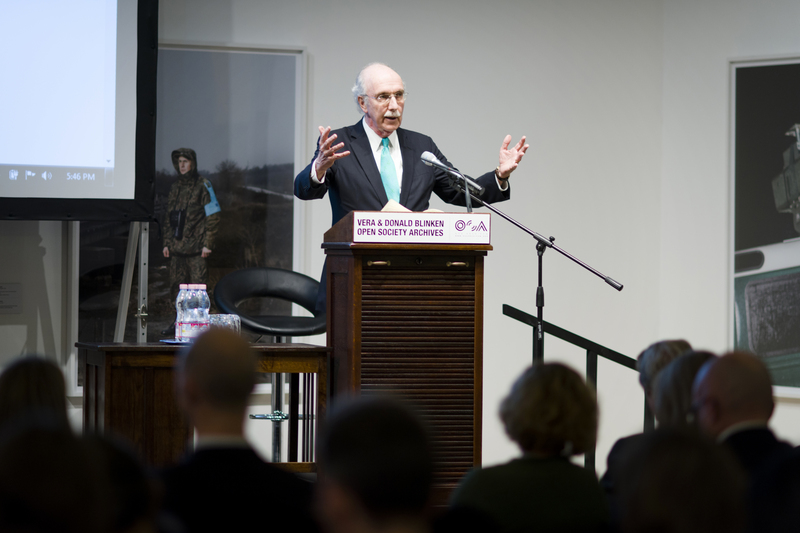 He was instrumental in these critical post-Soviet years in assisting the privatization of the Hungarian economy, guiding Hungary’s successful participation in the Bosnian peacekeeping process, helping restore Hungarian civil society, and supporting Hungary’s membership in NATO and the EU. Upon returning to Hungary with her husband, Vera founded Primavera, the first mobile breast cancer screening program in Central and Eastern Europe. In 2002, for her service to her native country, Vera was awarded the Middle Cross of the Republic of Hungary. The Blinkens’ latest gift will underwrite OSA research activities and dynamic public history programs. In 2006, they made a contribution to establish the Donald and Vera Blinken Collection of interviews with Hungarian refugees from 1957-58, which was digitized on the 50th anniversary of the 1956 Hungarian Revolution. This year, the couple donated their personal records to the Archive. The Blinken's naming gift also sets a precedent in post-communist Hungary, where, generally, institutions are named for people only posthumously. The Blinkens hope their example will serve as inspiration for others in Hungary to create living legacies in line with their principles, harkening back to Hungary's pre-communist tradition of cultural and educational philanthropy. Other naming opportunities will be available as CEU redevelops its campus, the design of which achieved another “first,” as the inaugural institution of higher education in Central/Eastern Europe to be BREEAM certified in line with strict green-building principles. Established in 1995 and opened in 1996, OSA's repository contains 9.5 linear kilometers of paper records and 12 terabytes of digital records related to communist-era political, social, economic, and cultural life. That is equivalent to over 100 football (soccer) fields of paper records and nearly 3,000 DVDs of digital records. It is also one of the world’s largest repositories of Radio Free Europe and underground media holdings. 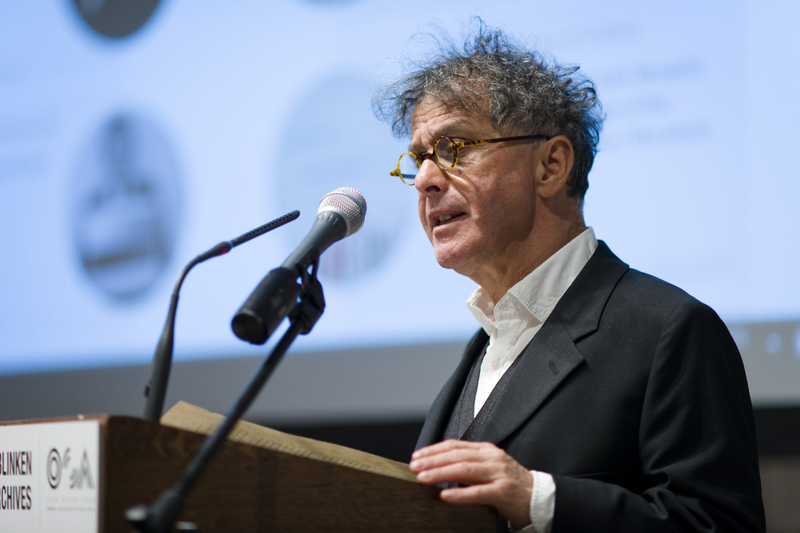 OSA is the official archive of the Open Society Foundations and, importantly, offers open-access facilities to researchers and the wider public free of charge. The Archive also oversees numerous exhibitions, conferences, film festivals and public programs of major historical significance. Ambassador Blinken, a CEU trustee emeritus, chaired the board of trustees of the State University of New York (SUNY) from 1978-1990. He currently serves on the boards of the Council of American Ambassadors, the National Committee on American Foreign Policy, the Rockefeller Institute of Government, and the New York Philharmonic. His son Antony Blinken is the United States Deputy Secretary of State. Vera founded her own interior design firm in the U.S. She served on the board of the International Rescue Committee for more than 30 years, starting in 1978, and is now an overseer. She is on the board of the FAPE – Foundation for Art and Preservation in Embassies.